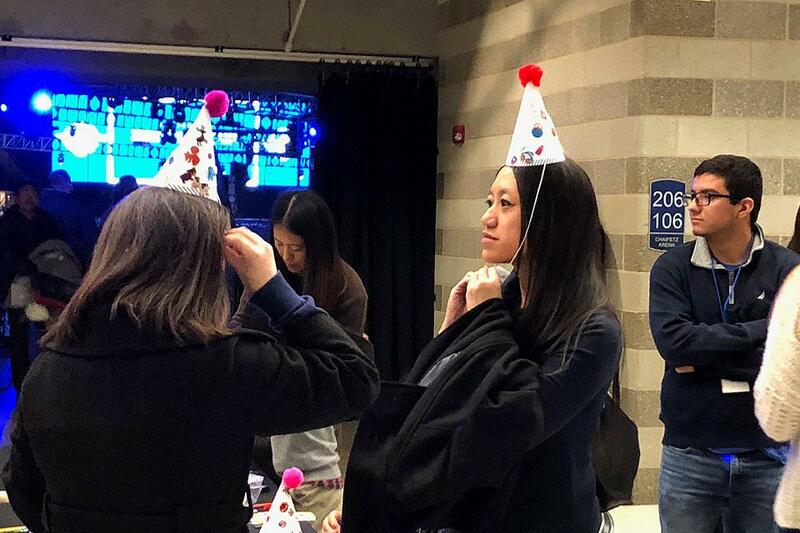 Party-goers donned bicentennial glasses and decorated hats. 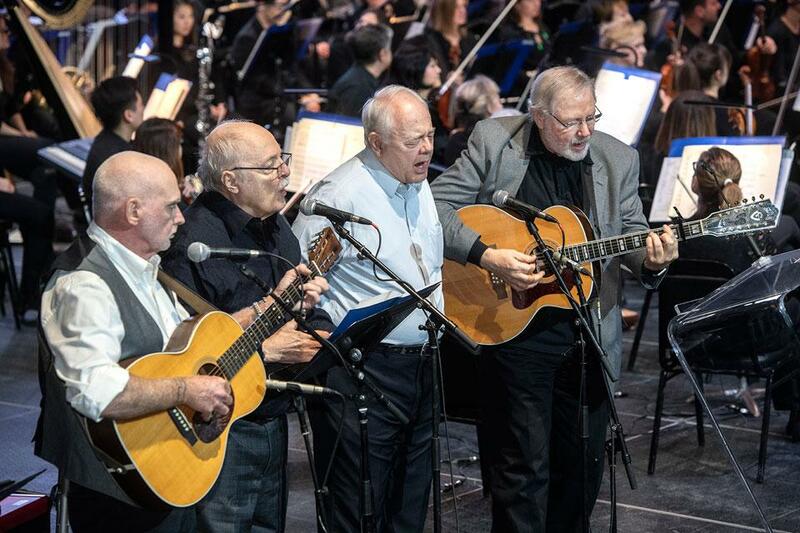 Photo by Steve Dolan It was a night 200 years in the making. 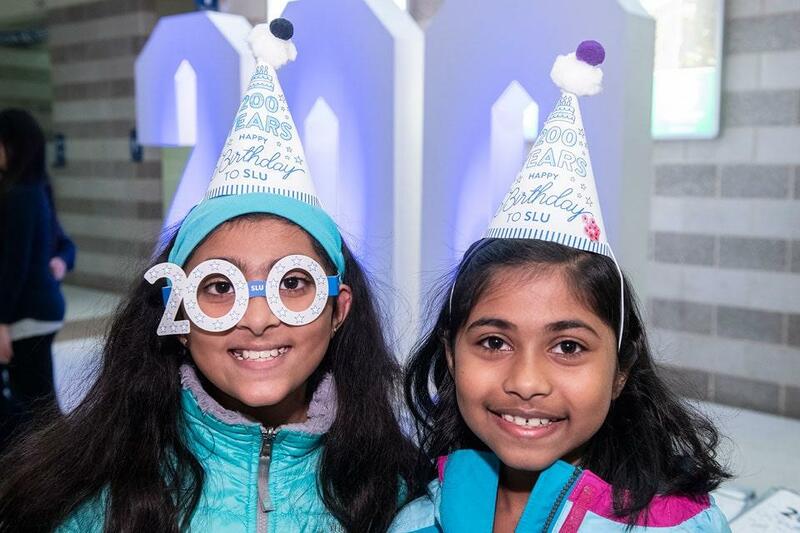 To a soundtrack provided by the world-renowned St. Louis Symphony Orchestra, Saint Louis University celebrated the end of its bicentennial year with fanfare, family fun and by giving back more than two centuries worth of service hours as part of its 200-Years-in-One-Year Challenge. 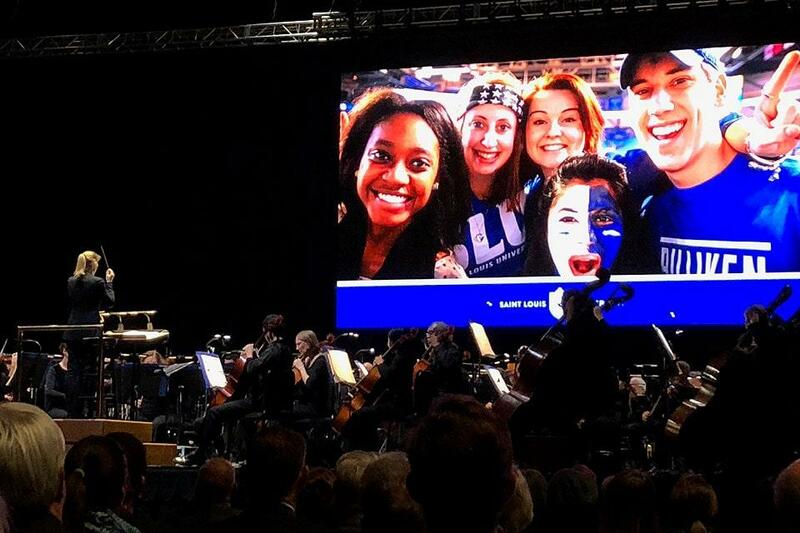 Chaifetz Arena was filled with Billikens and their families eager to enjoy music evoking the University’s rich history, from spiritual tunes from the St. Louis Jesuits to the theme from The Exorcist to an original piece composed to honor SLU’s long history of setting the world on fire for the good of all. 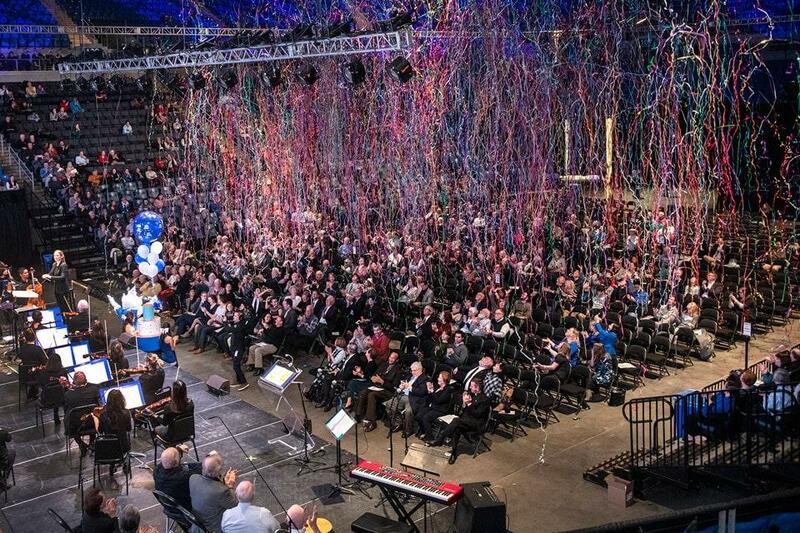 SLU’s bicentennial celebrations included its service challenge as well as a kick-off Mass under the Gateway Arch in September 2017 that was attended by nearly 6,000 people. 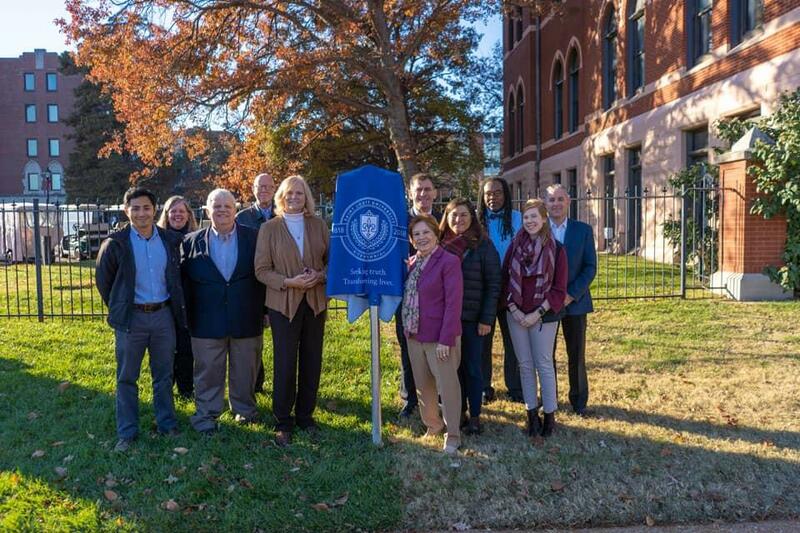 SLU’s bicentennial homecoming in September featured the creation of a community-painted mural that now delights drivers headed down Lindell Boulevard. 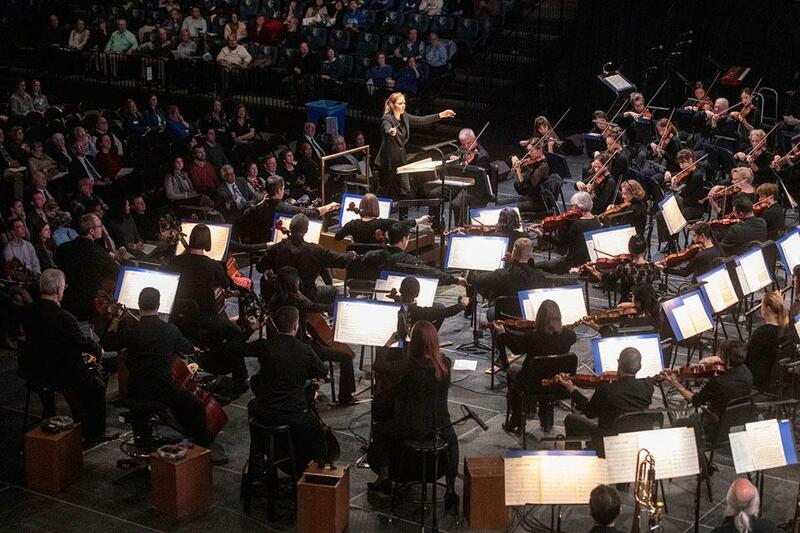 As we embark on our third century, much excitement lies ahead, and you won’t want to miss it." University President Fred P. Pestello, Ph.D. 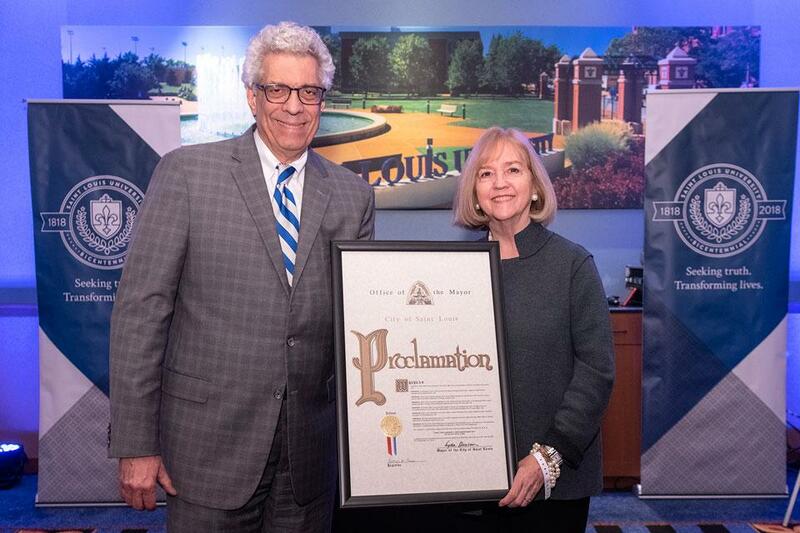 The University’s year of celebrations also included symposia, grants to spark collaborations to better the world through its 1818 Community Engagement Grant program, support for scholars under its Bicentennial Fellows program, and new markers honoring SLU’s history enshrined on campus. 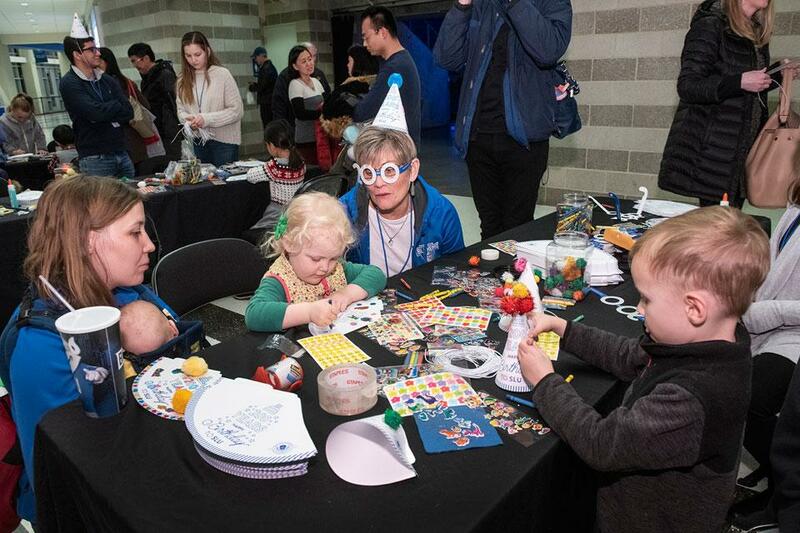 “Tonight’s birthday party is just the icing on the cake,” Ellen Harshman, Ph.D., dean emerita of the Richard A. Chaifetz School of Business and head of SLU’s bicentennial planning committee, told guests. 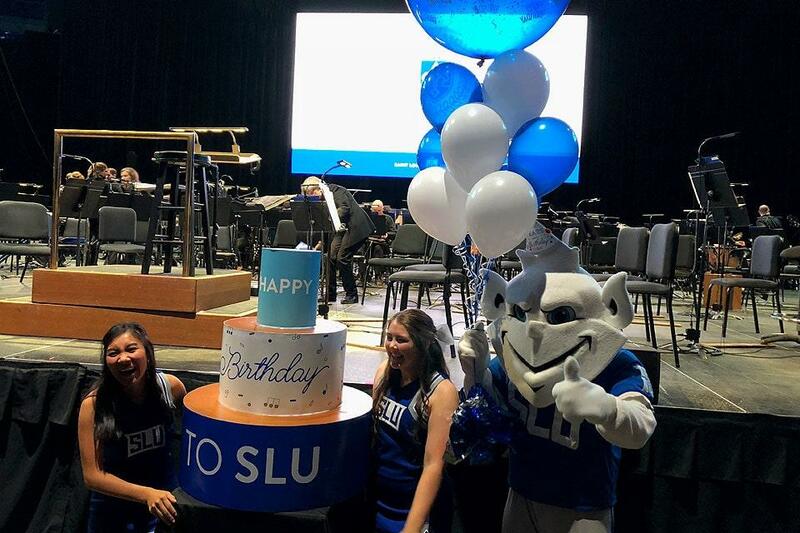 After symphony conductor Gemma New’s baton flashed for a last time, Pestello invited those gathered to join in singing “Happy Birthday” as the University’s birthday cake made its appearance along with SLU’s beloved Billiken.